Reverend Barber’s multi-racial movement for justice. The Republican presidential race has devolved into a disgraceful display of bigotry and bullying. Media organizations are eager to stoke debate over the Syrian refugee crisis, filling airtime and column inches with baseless xenophobia, but they dedicate little coverage to the plight of hardworking Americans who are struggling to support their families. And billionaire political donors are attempting to buy our elections while the extremist lawmakers who benefit from their lavish contributions wage a shameful war on voting rights. Each week we cross-post an excerpt from Katrina vanden Heuvel’s column at the WashingtonPost.com. Read the full text of Katrina’s column here. It’s easy to understand why so many people are frustrated with politics. And that frustration has consequences. As Alec MacGillis recently wrote in The New York Times, many Americans whose interests are being neglected have become “profoundly disconnected from the political process.” But while cynicism is warranted, there is a better alternative to abdication—one that is inclusive and inspiring and impossible for the political establishment to ignore. It can be found in North Carolina, in the Moral Monday movement led by the Rev. William J. Barber II. 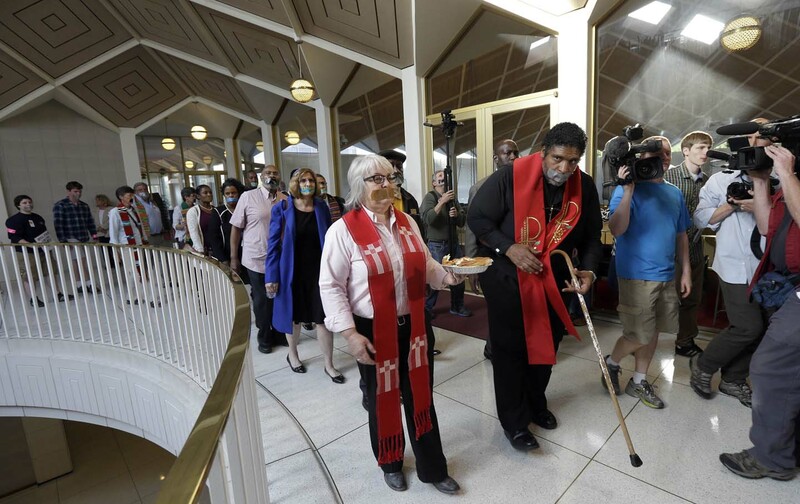 The Moral Monday movement began on April 29, 2013, when Barber organized a peaceful protest at the statehouse in Raleigh, where he and 16 others were arrested for refusing to leave. Since then, the movement has grown exponentially, with thousands of supporters participating in Moral Monday protests at the Capitol and around the state. Last year’s Moral March attracted an estimated crowd of 80,000 to 100,000, making it the largest racial-justice rally in the South since the Selma-to-Montgomery march in 1965. And the movement has expanded into several other states, including, most recently, Illinois.